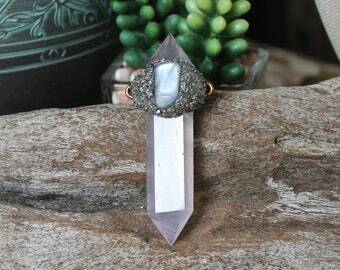 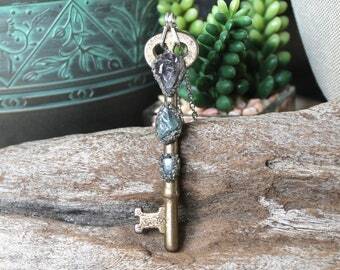 This 3.5" antique skeleton key has been accented with natural gemstones including a carved labradorite 'leaf', kyanite and tiny rainbow moonstones. 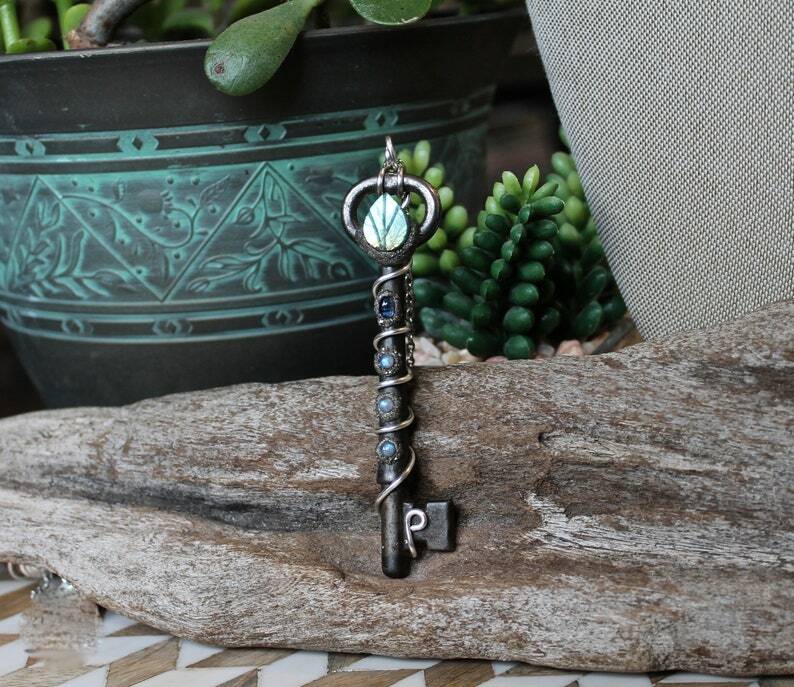 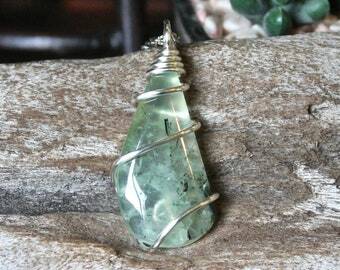 The skeleton key has been wire wrapped in silver wire, it measures 3.75" long including the bail - see photo #3 - it comes on a silver link chain - you get to pick the length of your antique skeleton key necklace! 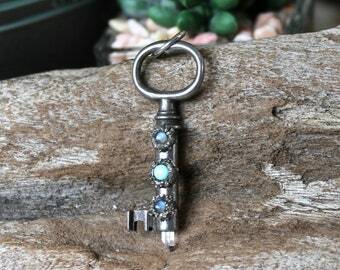 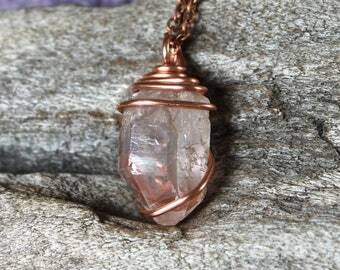 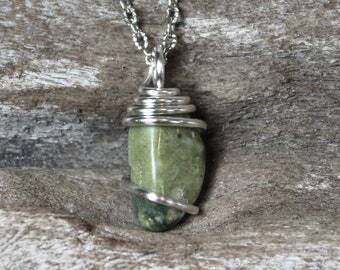 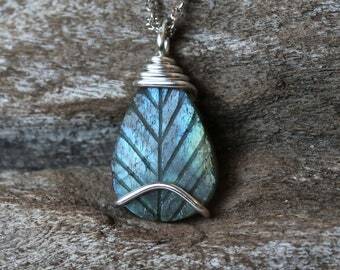 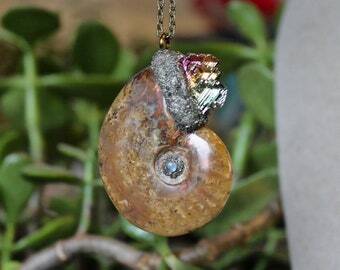 This is the exact key & gemstone necklace you will receive - please take a look at all 10 photos to get a better idea of the true size and beauty of this piece! 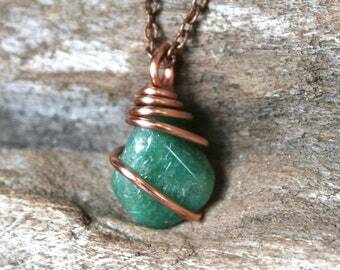 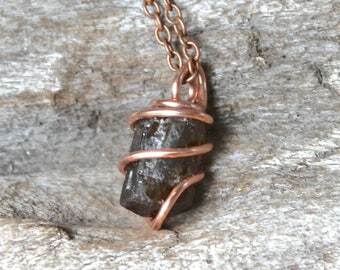 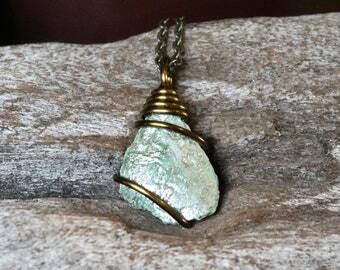 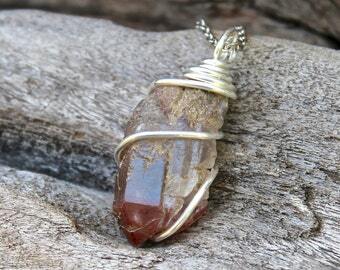 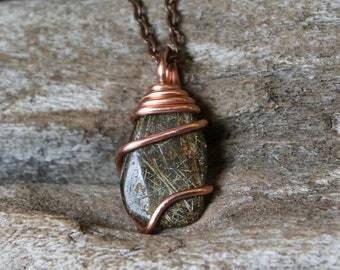 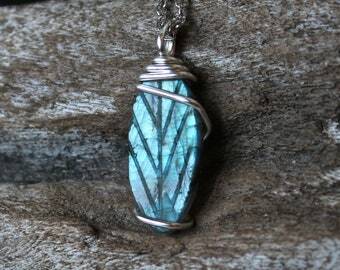 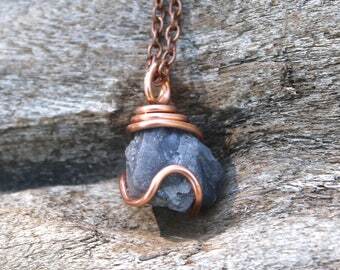 You will receive your stone necklace in a lace gift bag, wrapped and ready for gift giving!